In a realm where magic and legend still exist, it’s easy to think that when you’re just an ordinary girl, you’ll never get the chance to be written into the history books. But when Oppie, and her dragon friend Aurie, find themselves on a mission to defeat the evil, oppressive forces of darkness, in the form of the dragon, Royzendeus, they discover that history is never made alone. 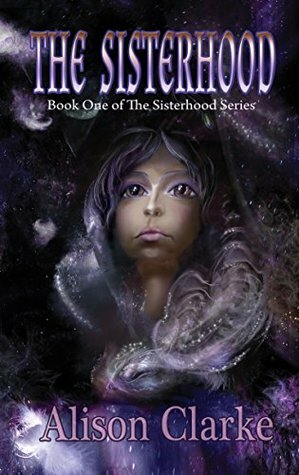 As they travel, their army of light grows, and Aurie discovers that as a girl, she is blessed with an entire sisterhood she never realised existed. This was one of the cutest books I've ever read. The story was so unique and well-written. A truly great story about friendship that I think a lot of people would enjoy reading. At first I thought it was a little strange that Oppie's best friend was a dragon, that apparently uses cell phones. It was a little difficult for me to picture a dragon having a cell phone, how big was that phone? Yes that was the difficult part for me to picture not the actual dragon part. Anyway, though I thought it was weird at first I thought about how awesome it would be to have a dragon so it felt less weird then.I would love to have a friendship like Oppie and Aurie! They were so inspirational. All the names in this book were odd. I gave up trying to figure out how to pronounce some of them. I like the magical concept because I love everything dealing with the paranormal. Though some things felt a little childish to me, like maybe a younger audience would enjoy it better than I. It didn't deter me from reading though, sometimes I need to read something like this - like a palate cleanser. This was a really cute story and I know book two will be just as good!